Have you guys seen the GIF of the old woman shimmying like a full out of excitement that she already has all the ingredients for a recipe? 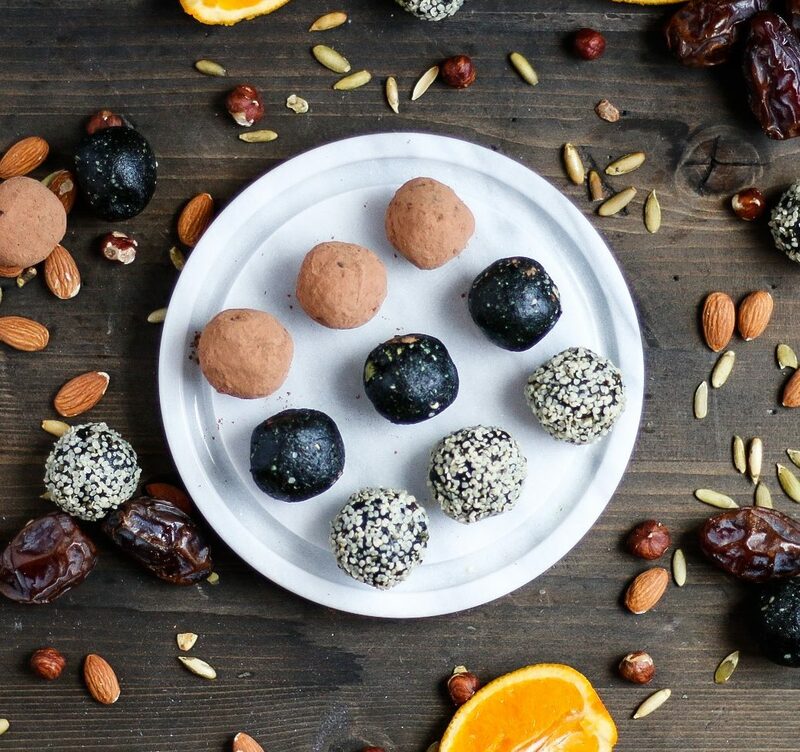 Well, she was basically me when I happened across these Cacao Spirulina Energy Balls on MRM’s blog. 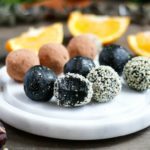 Theses energy balls are sweet, nutty, and have just the right amount of zang from the orange zest. 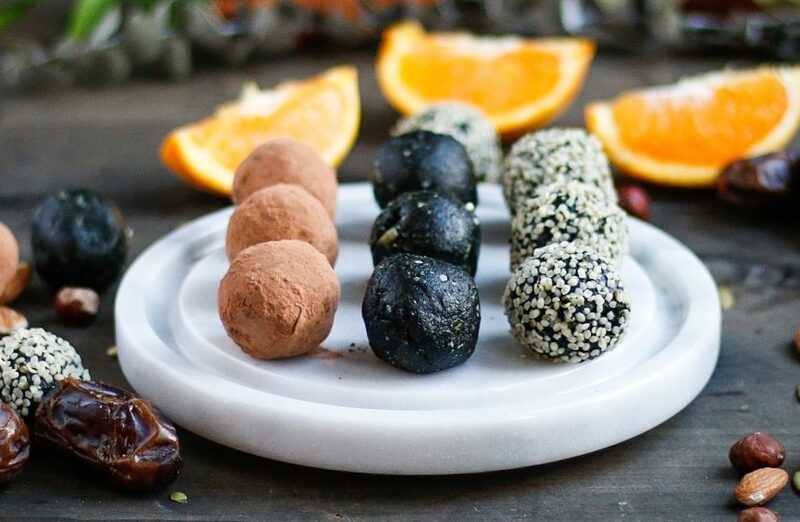 Usually I’m not big on orange flavor, but it adds SO MUCH brightness to these bites, and compliments the flavor of the almonds, hazelnuts and chocolate. I also highly recommend toasting the nuts ahead of time to enhance their flavor, especially when paired with natural sweetness from the dates and maple syrup! Toasted nuts are one of my favorite snacks! They also add incredible flavor to almost any recipe. 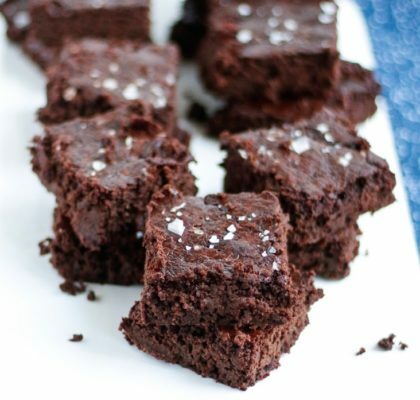 When MRM posted this recipe, they said “Who knew Spirulina could be so good…Ok, well…we did- but still!” And to be honest, in that moment I was like “Are you kidding? Spirulina is nastyyyyy.” Seriously, just opening up the pouch the smell might make you turn up your nose. But, I’ve used it in phases throughout the years in my smoothies, simply because it’s so healthy. Recently, I learned what a robust source of iron it is, so I have vowed to eat it every single day in an effort to bring my ferritin levels out of (and hopefully way past) the single digits! Just 1 tsp of this green powder provides 10% of your daily iron needs. Because this iron is in an highly bioavailable form Spirulina is an excellent food to use to ensure adequate iron intake, especially for vegans. In addition, it’s an excellent source of protein for those who follow a plant-based diet, because the protein in spirulina is “complete”- a rare occurrence in vegan protein sources. “Complete” means it contains all of the essential amino acids, those that our body cannot manufacture and must be consumed in food. Finally, this superfood contains abundant amounts of many vitamins and minerals, for example, it contains about 2.5 times the % daily value of vitamin A.
I didn’t have any Goji Berries, and I’m trying to limit my sugar intake, so I just left those out entirely. I think the orange zest added enough tartness anyway! Since I’m desperately in need of increasing my iron intake, I doubled up on the spirulina*. One of these energy bites now contains 15.5% of my daily iron needs- I’ll take it! I also used cacao powder in place of cocoa powder for more micronutrients, in addition to providing more natural energy. You’ve heard me talk about this stuff before, but I am obsessed. Nutritious chocolate? Okurrrr. (If you want to read more about its benefits, check it out here.) Also, Since I doubled up on the spirulina, I decided to add the 2T of of cacao into the mix to mute that taste, instead of rolling the balls in the powder at the end. Next, I omitted 1T of coconut oil (subbed 1T of almond milk in place of that liquid) because I wanted to roll these balls in hemp hearts, and didn’t want the fat content to get any higher. Hemp hearts are another great source of plant based iron, plus they have such an amazing nutty taste! The balls are slightly softer without the second tablespoon of coconut oil, but the difference is minimal. These bites seriously blow me away with how good they are! I was expecting them to be so-so, just eating them to get the nutrients…but no. 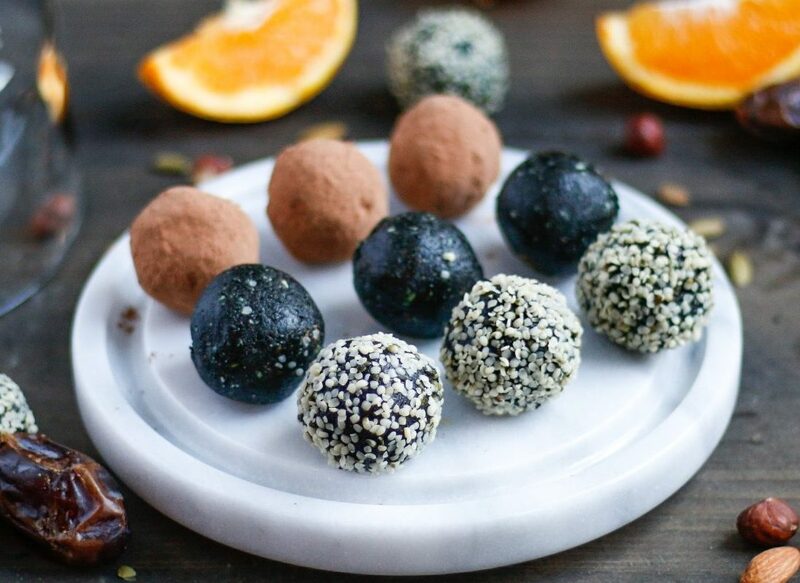 Cacao Spirulina Energy Balls are so damn good. They’re buttery from the nuts, earthy from the spirulina, rich from the cacao, and then the seasonings really pull it all together with just a hint of cinnamon, a dash of citrus, pinch of salt (that really enhances the sweet, by the way) and just try not to have a euphoric moment when you smell the pure vanilla extract connect with the other ingredients. I could literally dab vanilla behind my ears and wear it as perfume- that’s how much I love the smell. 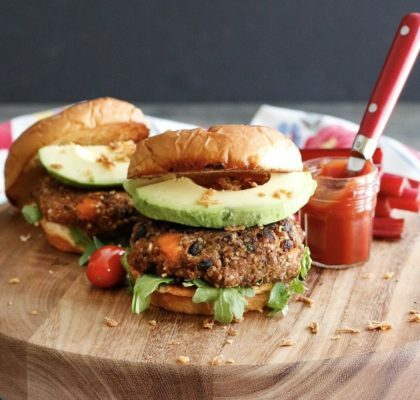 Not only are they delicious and nutritious, they are E-A-S-Y to make. No cooking experience required, trust me. The hardest part is waiting the 30 minutes while they chill before you can roll them into balls- I know I know, patience isn’t my thing either (especially when chocolate is involved) but just turn on an episode of Friends and let the time fly by! 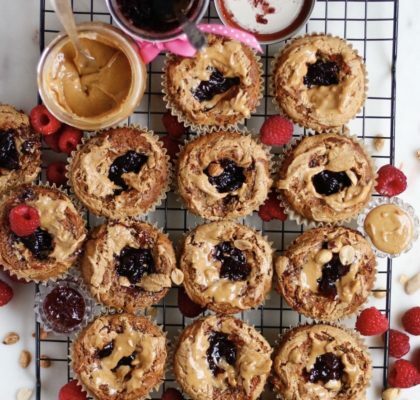 These are the perfect bites to store in the fridge and reach for pre- or post-workout, when you need a quick snack as you’re running out the door, or my favorite time is to grab for one in the afternoon when I’m hitting a bit of an energy slump. 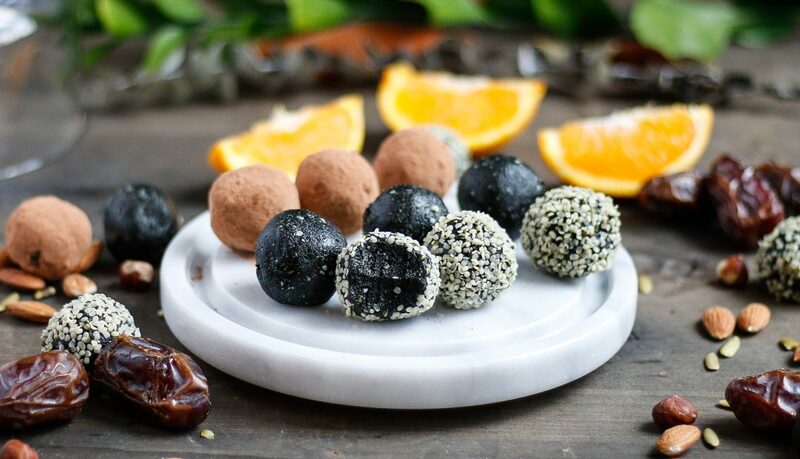 Can’t wait to hear what you think of Cacao Spirulina Energy Balls! 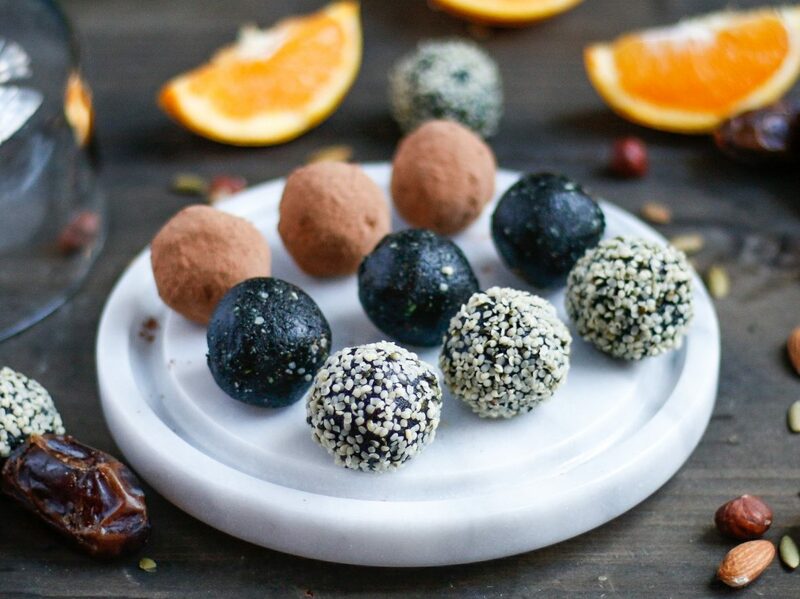 Theses energy balls are sweet, nutty, and have just the right amount of zang from the orange zest. 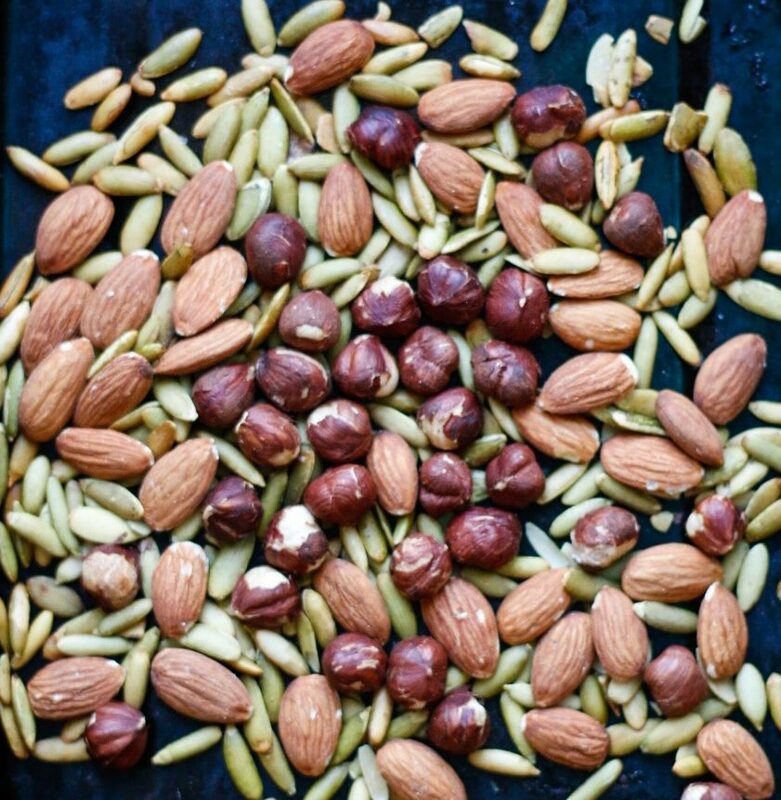 Packed with iron, protein, healthy fats, vitamins and minerals, these are the perfect bite of energy no matter what is going on in your day! Optional: Preheat oven to 400F. Spread the seeds and nuts our evenly on a small baking sheet and toast for 4-6 minutes. This really helps develop the flavor of each ingredient! Place the seeds, nuts, and dates in a food processor and pulse until broken up and lightly sticking together. Add the remaining ingredients, and blend until everything comes together (it should roll up into a ball on it's own inside the food processor). Add 1/2-1T of additional non-dairy milk if for some reason the mixture is too dry. Place in the refrigerator 30 minutes to allow to harden a bit (makes them easier to roll). Scoop the mixture into roughly 1T bites, and roll between your palms to form a ball. 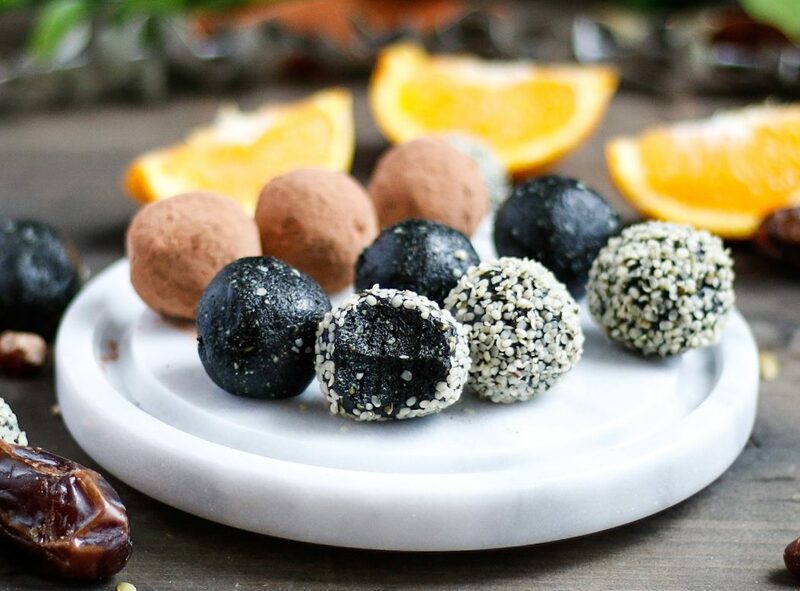 Roll in hemp hearts or cacao, then enjoy this lightly sweetened, nutritious treat! Store in the refrigerator.